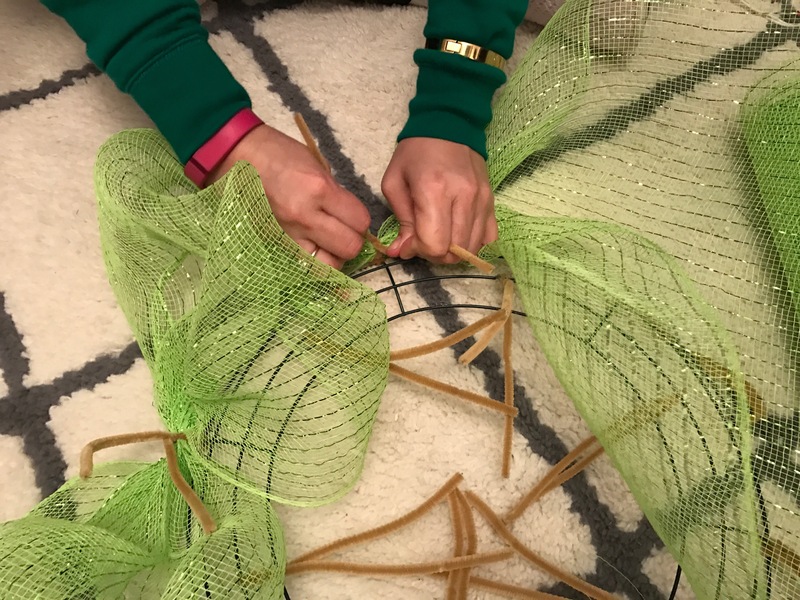 Here’s a quick tutorial for a Deco Mesh Easter Wreath. 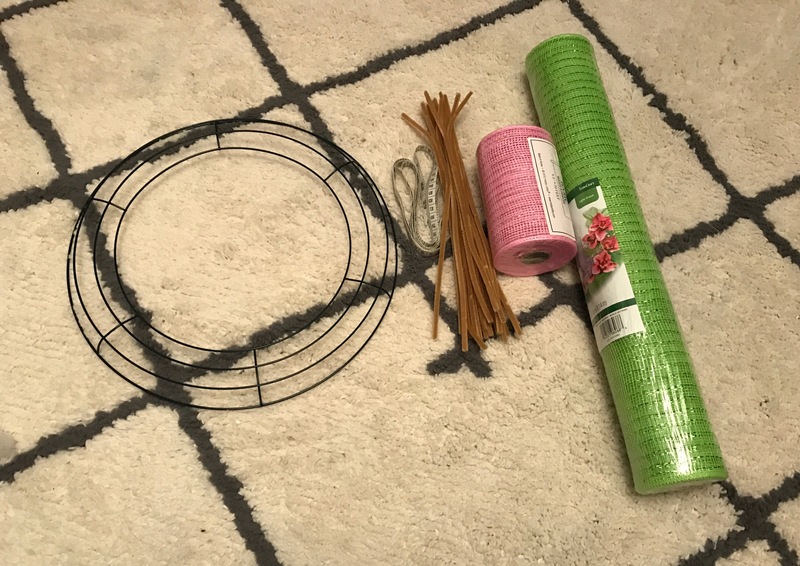 The following are the supplies needed to make this super cute Easter wreath. Materials I purchased from Hobby Lobby, were half off. Every other week HL has their mesh and ribbon at 50% off. You can also download their 40% off coupon to use if an item is full price. Are you ready for 4th of July? I wasn’t but I think I am now! I made this lush Patriotic wreath over the weekend. It looks bright and cheery and it’s so full! Everyone loves it! Today I will show you how to make your very own Patriotic wreath for your front door! Let’s get started with a list of materials needed for this easy project. Most of the items are from Walmart, if any item is from another vendor, I will mention that next to the material. The wire form I’m using has 6 sections. You will be using 2 sections for each color. Also, you’ll only be using the two inner rings. In each section, on one wire, you will place 10 bubbles. i.e for the red burlap you’ll be placing 40 bubbles. (total of 4 rings within the 2 sections). This will make sense once you view the video. Finally, here’s a video (it’s a combination of real time and hyperlapse). I like including hyperlapse because you can watch an hour worth of video in 10 minutes. I do slow down for the important parts. Enjoy and Happy Wreathing! Thank you so much for viewing my tutorial. If you have any questions, please feel free to message me. Also, check me out on social media. Don’t forget to follow me. 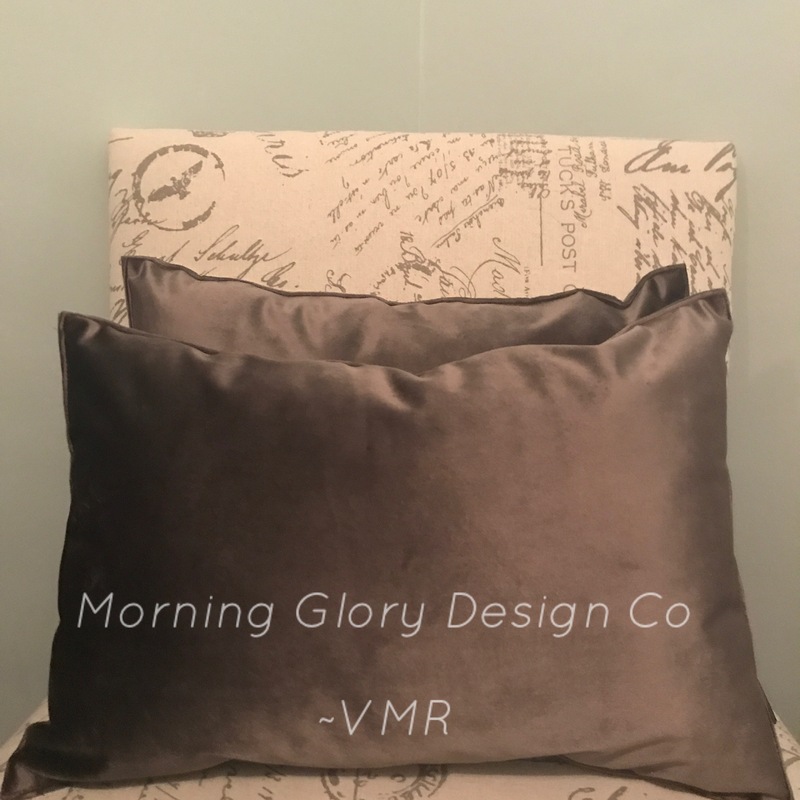 One of my favorite paints to use is chalk paint. It’s just my personal preference, whether I make the paint myself or buy it already made. For this project I bought an 8 oz bottle of Waverly Chalk paint. 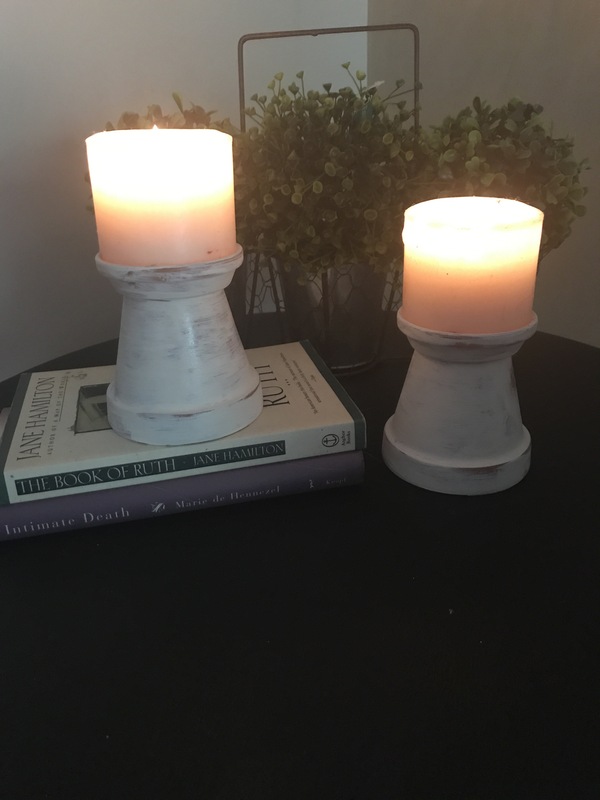 For my next project I will teach you how to make the chalk paint. You have an unlimited choice of colors should you make your own. But we’ll save that for a later blog. 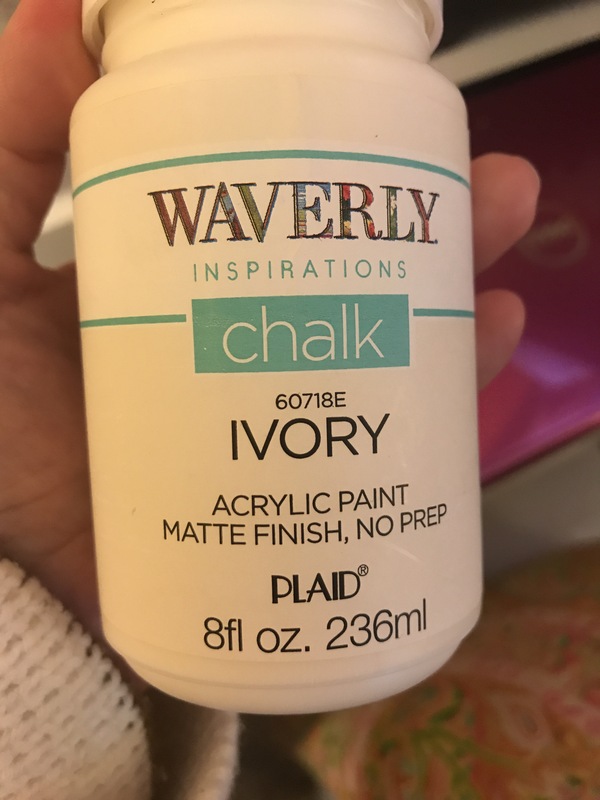 *Waverly acrylic chalk paint. (I used the matte paint) depending on the size of your furniture you may need more than one 8 oz bottle. I only needed one. Make sure you wipe down the piece of furniture you will be painting. I just used a damp cloth. Painting is messy, at least for me it is, so place a drop cloth under the piece you are going to paint. The paint is thick. 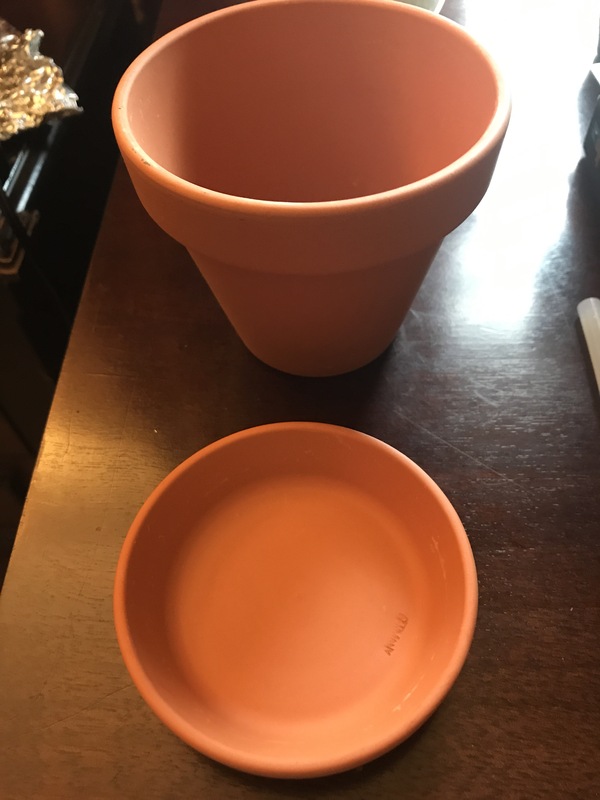 So, the first thing you want to do is water it down a little bit. I poured about half the bottle of paint into a container and added about 1/4 cup of water. And I mixed it well. Start by painting your first coat. I love the way this paint adheres to the furniture. There was no need to sand it either. Let it dry for a few hours. Don’t worry, it doesn’t look pretty, yet, but it will after you add more coats. If you don’t want that distressed look I would suggest adding a fourth coat of paint. 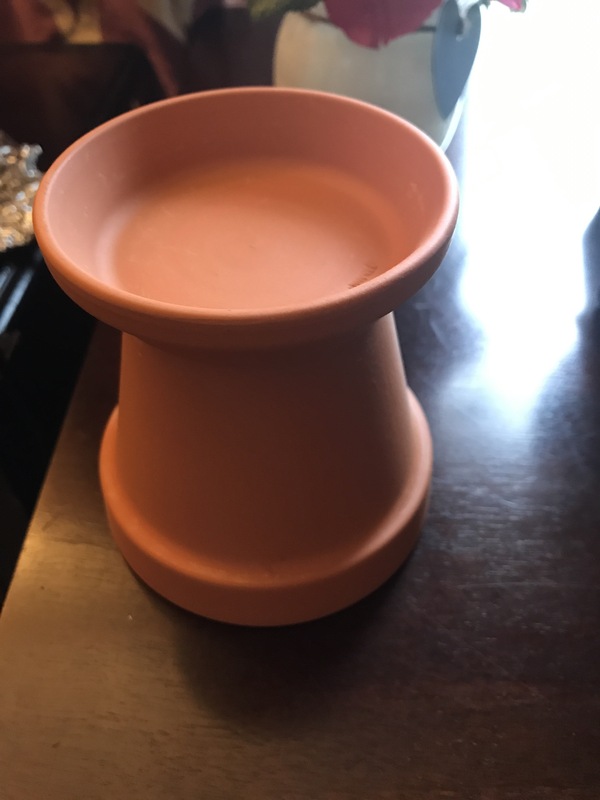 Let it dry then lightly sand it and wipe it down. The beauty of using chalk paint is that you can achieve different looks. And since I’m going for the worn/distressed look my three coats were perfect for this project. Finally, after distressing it, I wiped it down and added two coats of Polycrylic to seal the paint. Make sure the first coat is dry before you add the second coat. 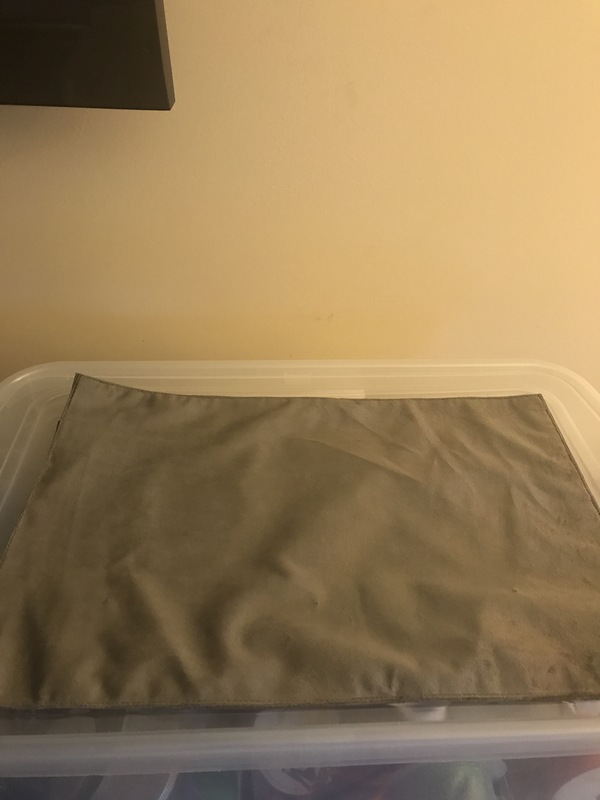 How to make pillows out of placemats! Hello. 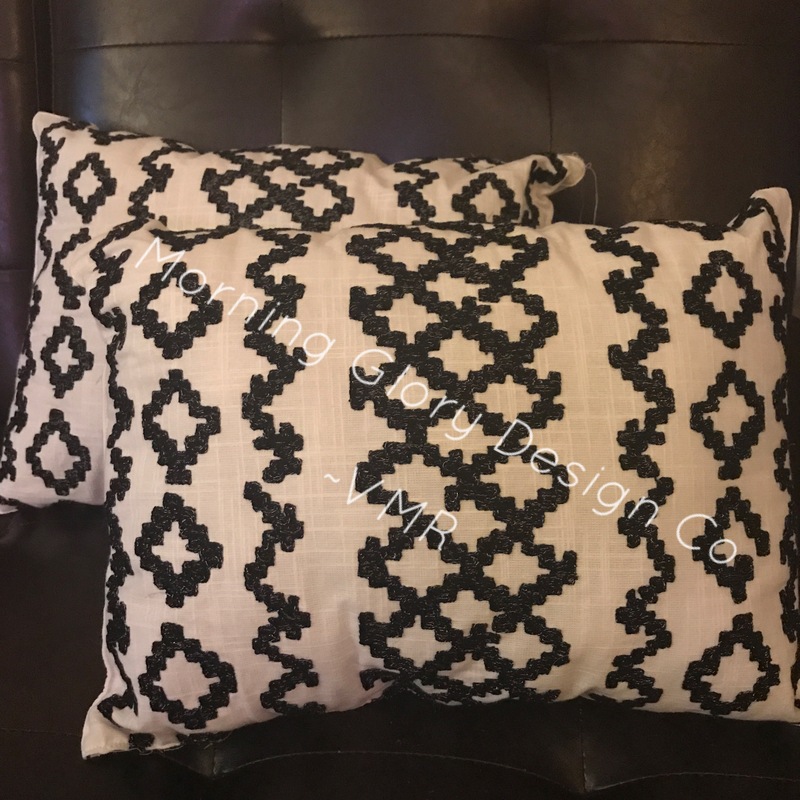 Today I’m sharing a simple tutorial on how to make lumbar/decorative pillows, using placemats. Yes, placemats you use on your dining room table. 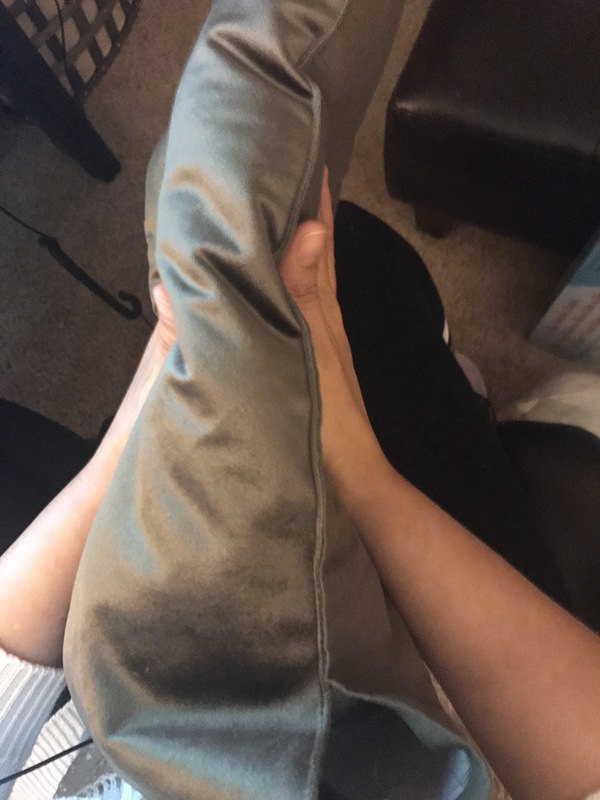 I have a couple samples here to show you too! First, you want to go out and buy some cute placemats! My favorite stores to shop for placemats are Walmart (believe it or not), At Home, Pier 1, even Marshalls! At Home store has great prices on packs of mats and they have a huge variety to choose from. Below is the placemat I’m using today. I got a pack of four from Marshalls. Next, I unstitched about 5 inches of the seam. 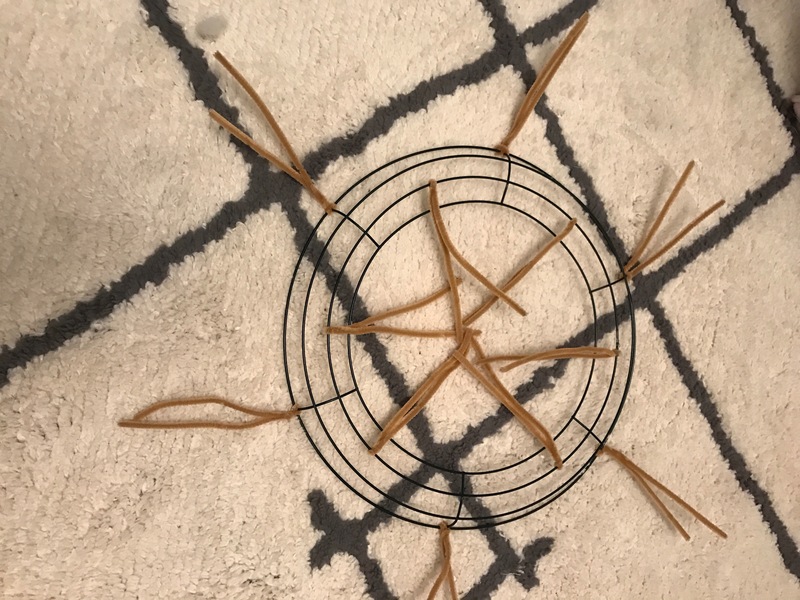 This is so that we can stuff the placemat with cotton. Cotton can be purchased at Walmart, it’s relatively inexpensive. When purchasing your mat please make sure it has a front and back. (two materials sewn together). 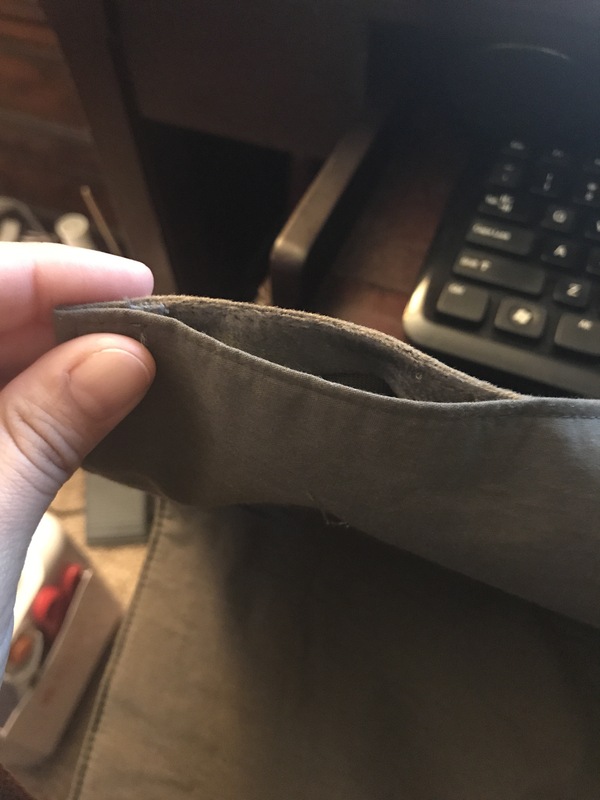 This will not work if you have one solid material or the back does not separate from the front material. You have to make sure you can open this up and stuff cotton through. Also, make sure the backing is good material. Not see through. -some little helpful tips there. Unstitch from one corner. Then stuff the cotton in. Puff the pillow out so that the cotton is evenly distributed. 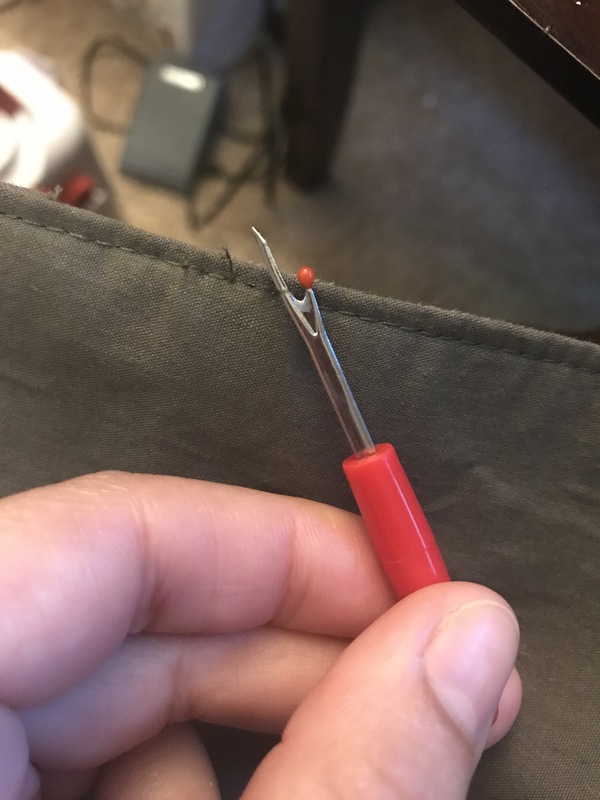 Make sure to get the cotton into those corners! Finally, sew the mat together. 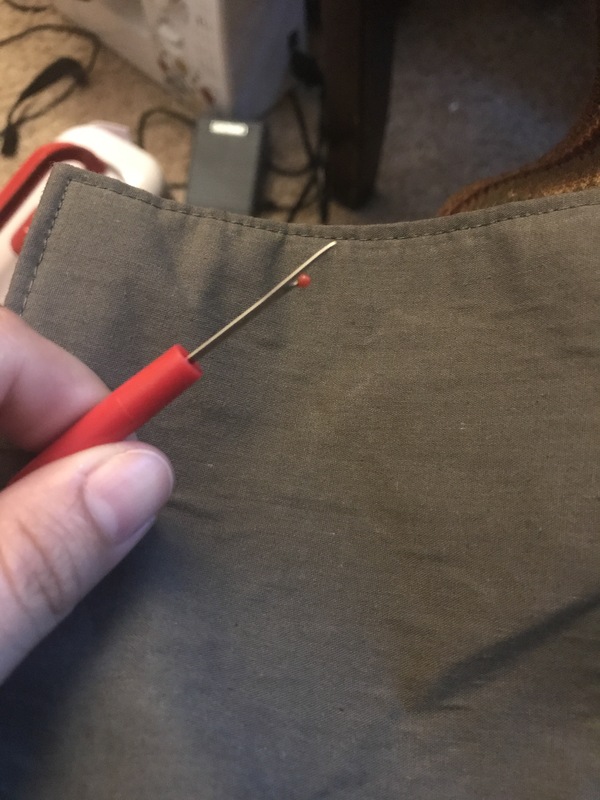 I’ve heard people use fabric glue and velcro…..well, I tried the glue.. it did not work for me. I’m not sure about velcro either. The best thing is good old fashion stitching, which can either be done by hand or machine. I used my machine, it’s faster. And here you go. The results! How cute are these?? Here is another set I made using placemats. 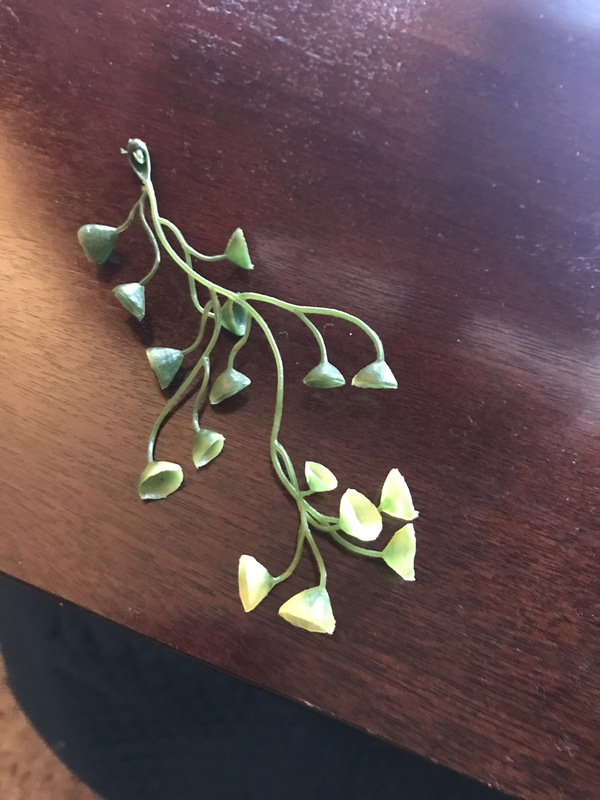 I forgot where I got these from. Same idea, same steps, beautiful little pillows. I hope you enjoyed this quick lesson today. Let me know if you have any questions. Here’s a cute, inexpensive, and super easy craft that anyone can do! Next you want to paint it using your foam brush. Here’s the paint I used. I added a little water because this paint is pretty thick. 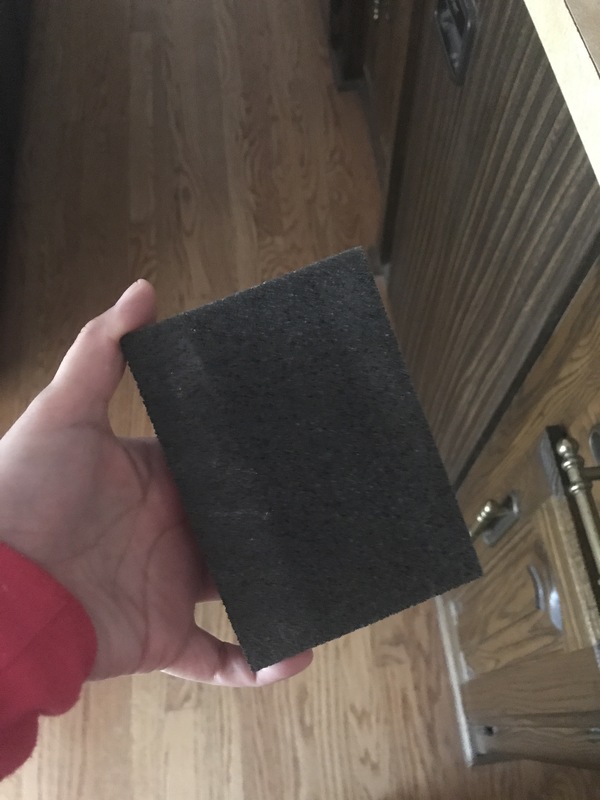 The final step is to sand it down with this sanding block, or you can use sandpaper. 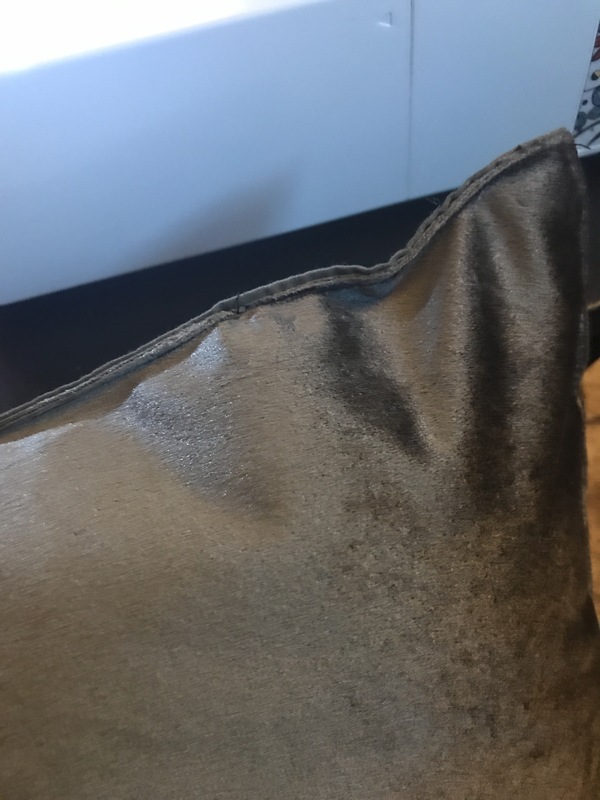 This gives it a worn look. *I sealed mine with acrylic spray paint to give it a little shine (plus it seals the paint). I hope you enjoyed this! Don’t forget to follow me on Facebook! One thing I get asked a lot is how I make my wreaths. I admit, when I first started, I didn’t have a clue what I was doing. 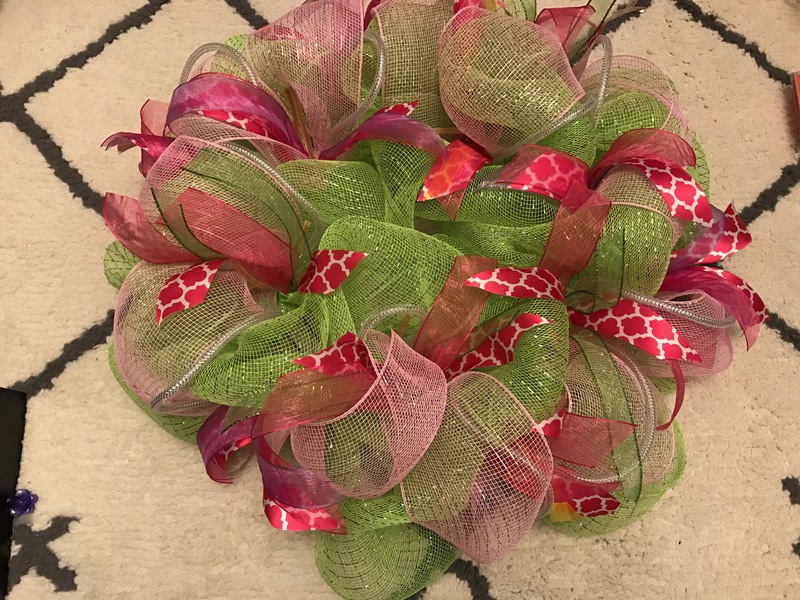 So many different wreaths, so many different ways to make them! 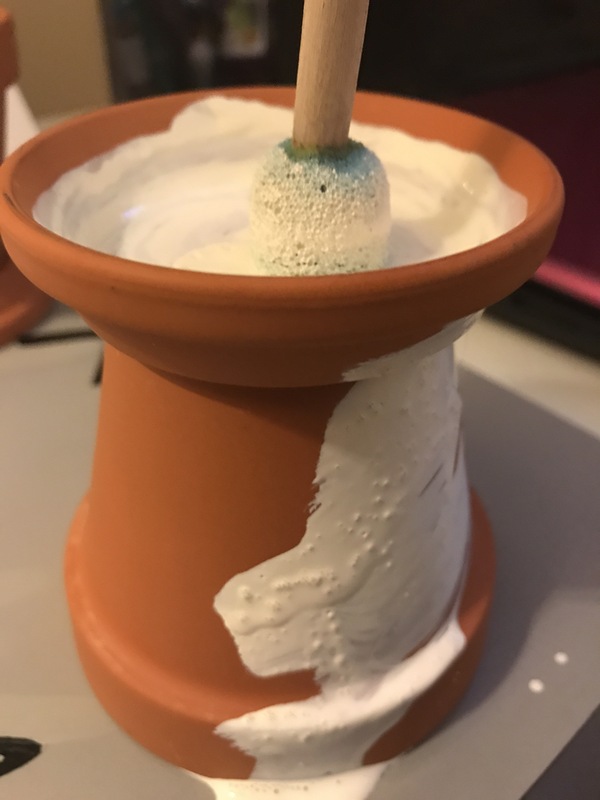 After about a year of making them, and researching different methods, I finally found a technique that worked for me. First, you want to gather all the materials you will be using. I’ll keep this simple, we’re focusing on placing the mesh on the wire form. Decorating tips can come at a later time. Wire form. Any size. I used a 12″ one here. 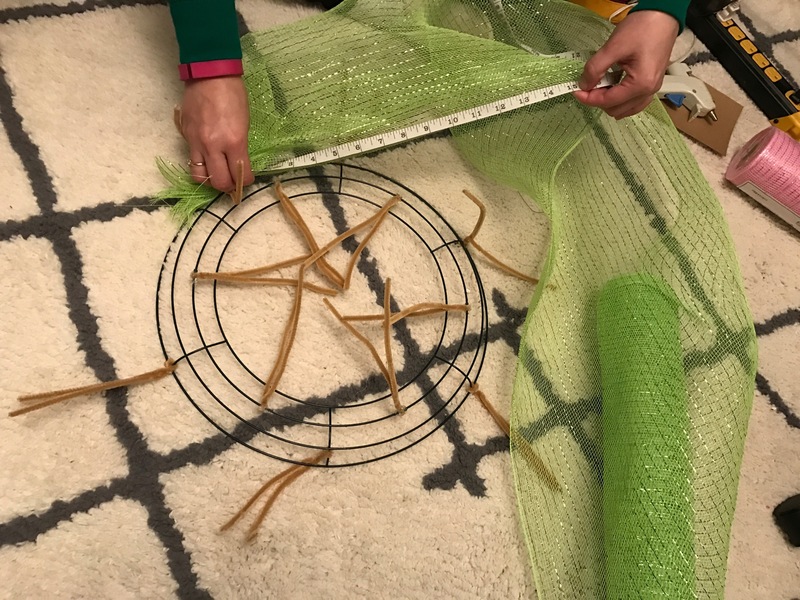 Third, let’s start placing the mesh on our form. We’ll begin by anchoring our mesh. Grab a small piece and squeeze together. Firmly secure it by placing it on one of the outside rings, use the pipe cleaner to tie it down. Twist it till you know the mesh is securely in place. Continue along the outer ring till you come back to where you started. 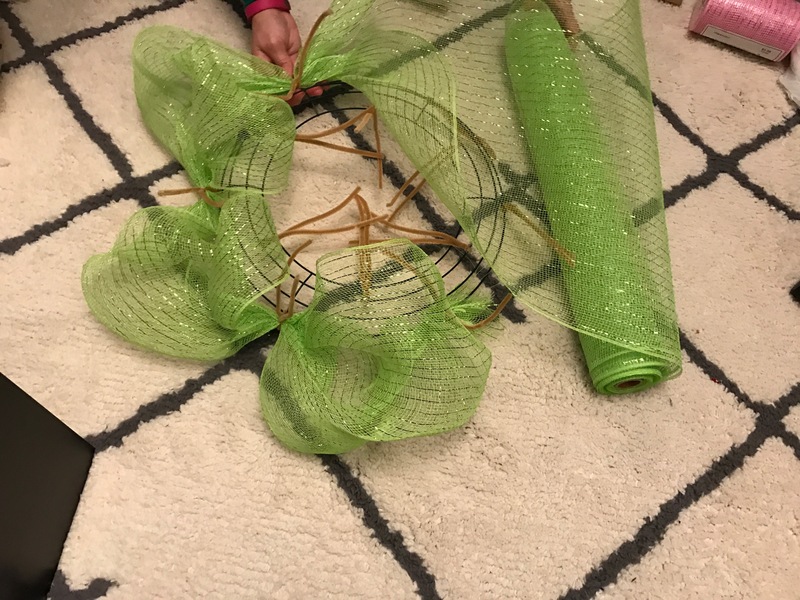 Once you’re back at the beginning, make sure you fasten it to the first pipe cleaner that you secured the mesh with, you can jump to the inside ring and go around it the same way. One thing I have learned is to measure my mesh between placements. This ensures that the wreath comes out even on all sides. 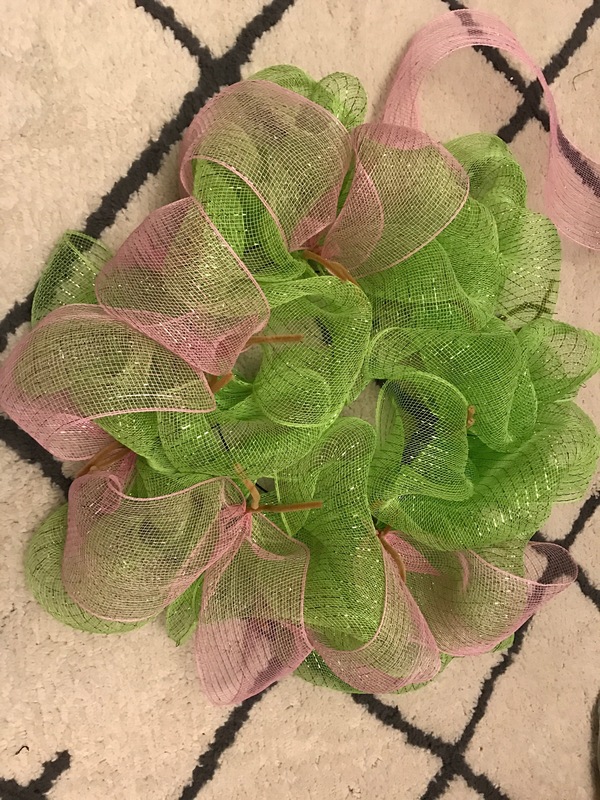 Depending on the size of the wreath you can measure 12″ or 15″. 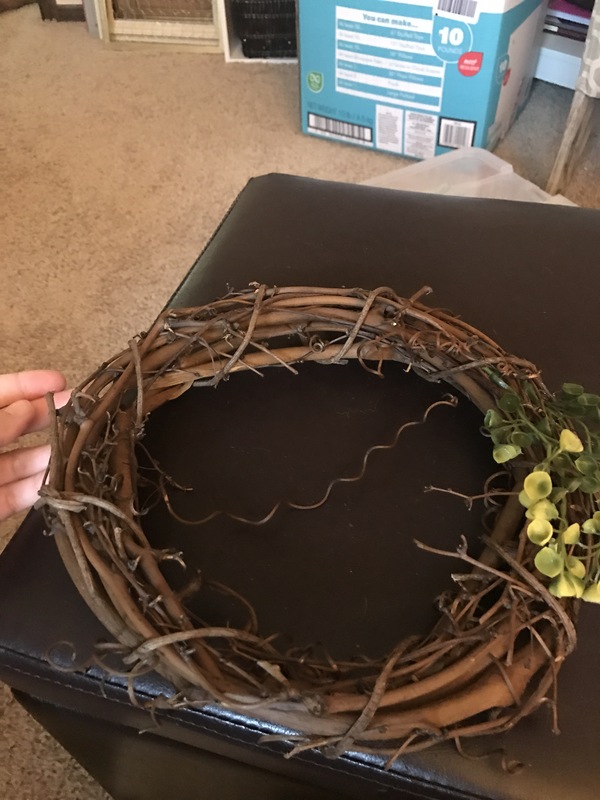 The higher, the bigger the wreath will turn out! Continue all around the wreath till you come to the beginning again. Once you are done with the inside ring you can fluff it out. Finally, add your mesh ribbon. 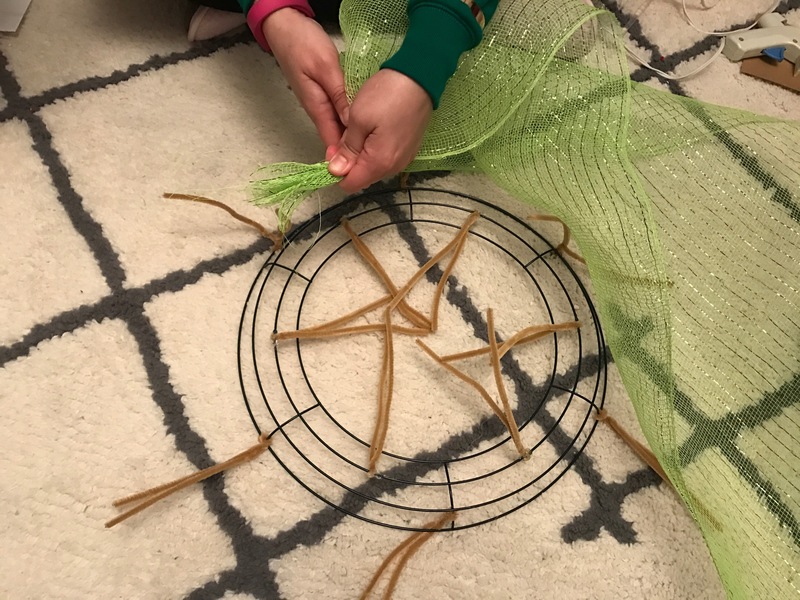 I start with an outside pipe cleaner, secure it, jump to the inside loop, secure it, jump back to the outside loop, secure it, and just zig zag all the way around the wreath till I come to the beginning. There are so many different variations of this technique. So, don’t be afraid to experiment! 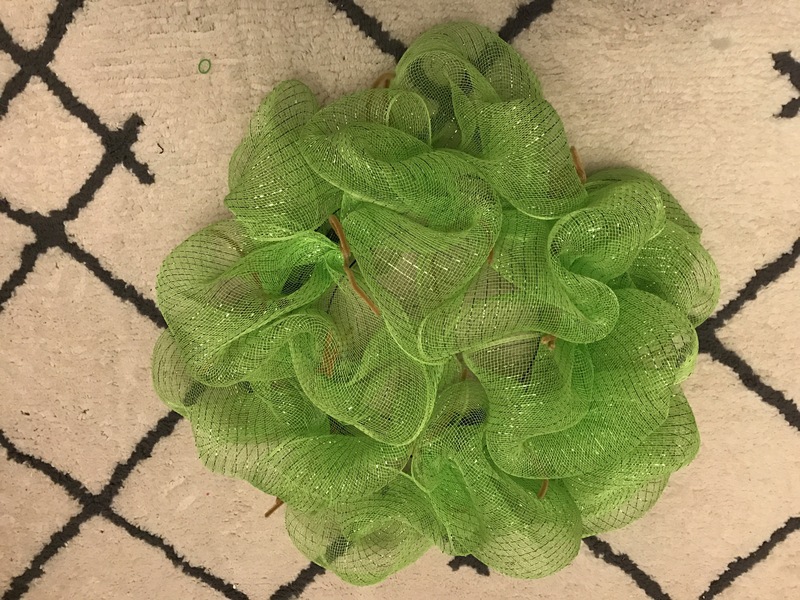 There’s your base for a mesh wreath. You can add ribbons, stuffed animals, signs, almost anything you want! Here’s mine with just ribbon. 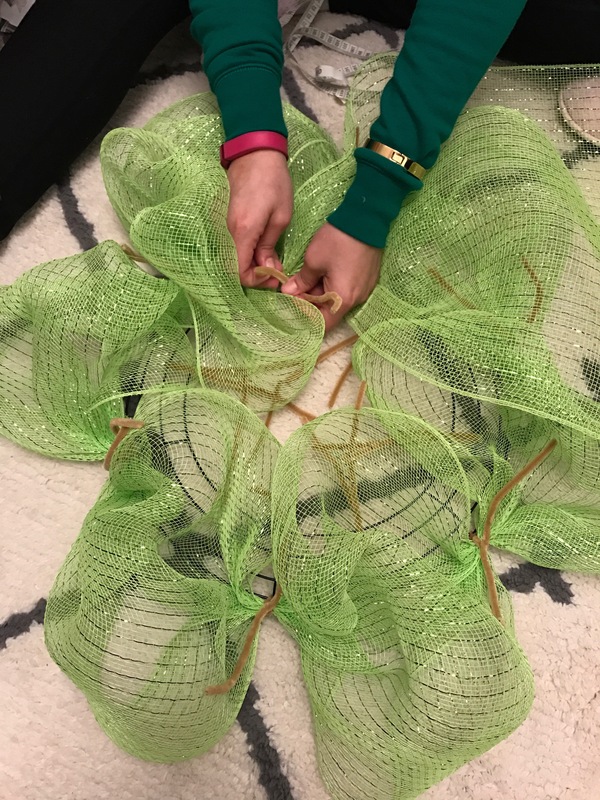 Decorating the wreaths will be on another blog! Don’t forget to check us out next week for that tutorial! 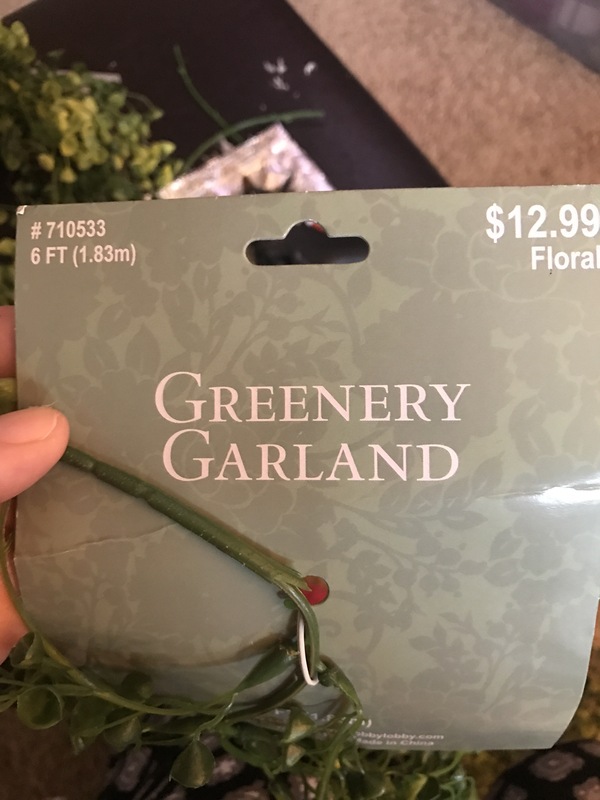 I have been wanting to buy a greenery wreath for some time but I refuse to spend $30 or $40 on one. So I went ahead and made my own. It didn’t cost more than $10. 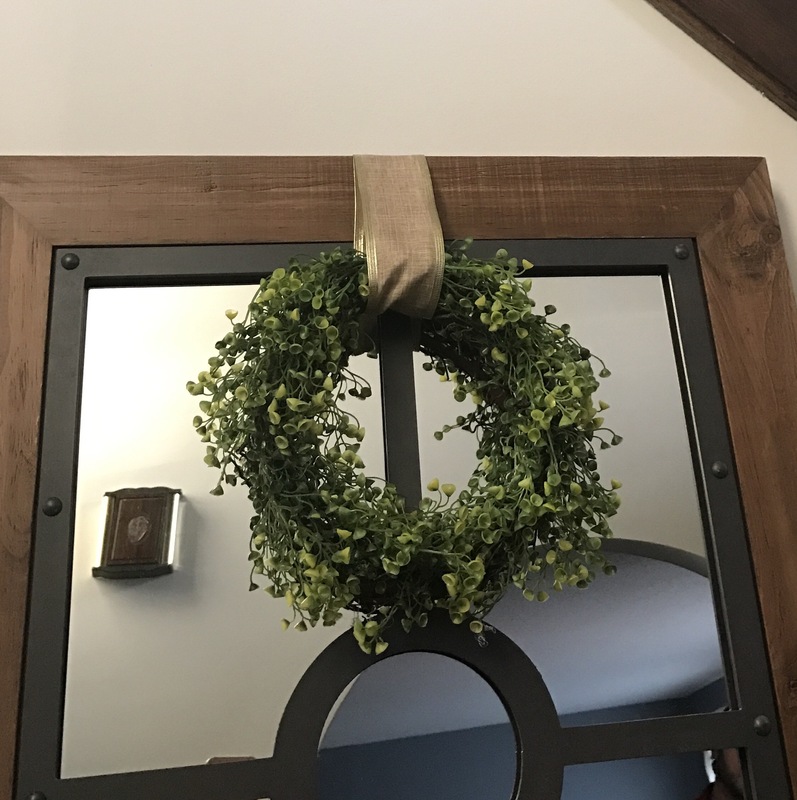 What I’d like to share are the steps to make your very own greenery wreath. So let’s get started. 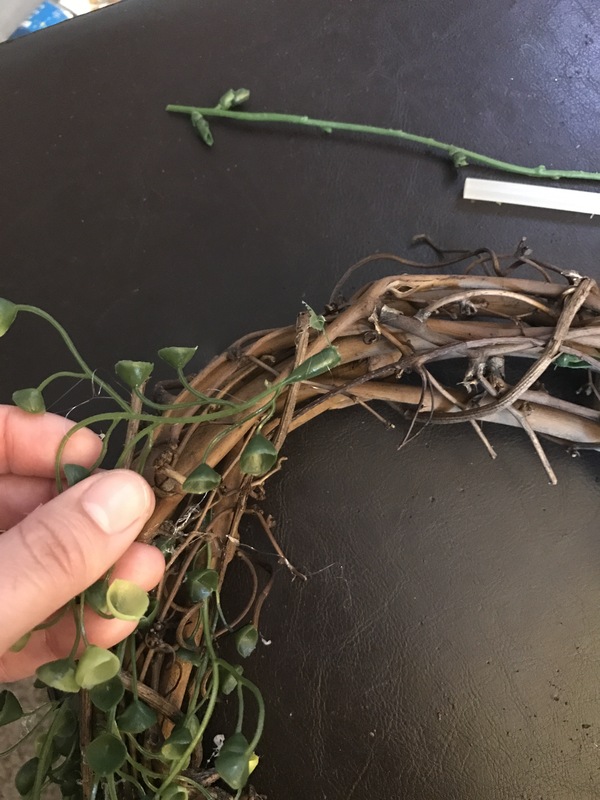 First start cutting your greenery. 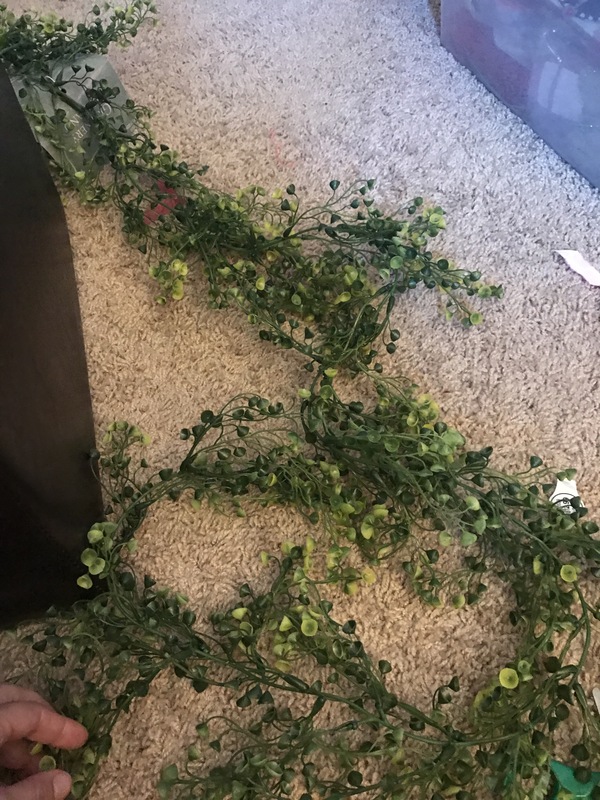 Cut the stems off the garland. Like above. Then start gluing the individual pieces to the grapevine wreath. Start on top, on one end and go down. Then go to the other top part and work your way down. You can add as much as you like. The more you add the fuller it will look. Once you are satisfied with how it looks you can add a ribbon to the top and hang it, like I did here. I pinned the ribbon to the back of the mirror. And that’s it! Simple as that! And there’s your own greenery wreath.